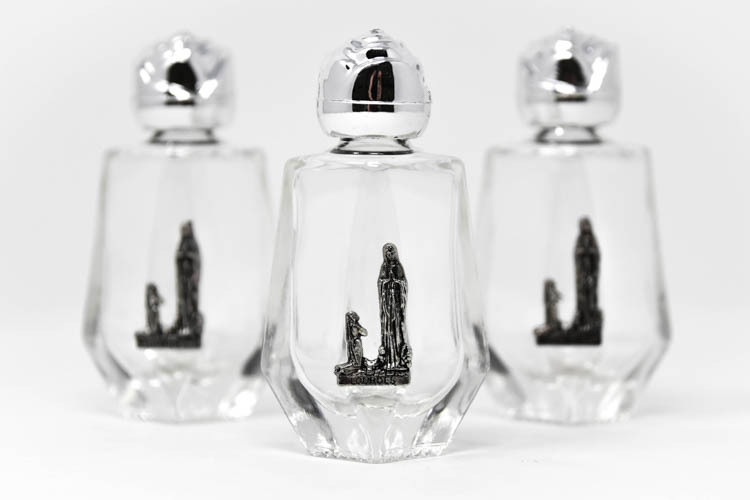 3 Glass bottles of Lourdes holy water with silver rose caps. They have a 3D silver plaque depicting St. Bernadette kneeling to Our Lady of Lourdes. 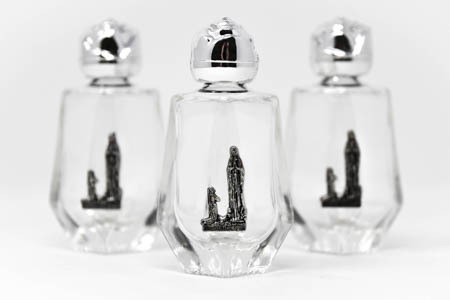 These bottles measure approximately 6.5 cm in height. You can be assured the bottles containing Lourdes water have been taken from the grotto and blessed by a priest at Lourdes.